All the contents are open access until noon today (22 July), then access is by subscription, either individually or through an institution. Several years’ worth of back issues (now 1967–69 and 1980–2011) are freely available, however, at http://bq.blakearchive.org. 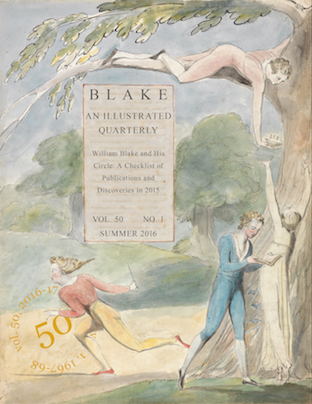 Pingback: Blake Quarterly summer issue | Uncategorized | Aggregated blogs on Romantic Studies - please click through to read full posts.